With great physically diverse lands in California and being large-sized it has attracted all types of people over the years. The state has hills, mountains, great forests, Pacific Ocean border, valley regions and deserts. The Spanish expedition led by Juan Rodríguez Cabrillo, first sailed on the Pacific west coast from Mexico in 1542. Settlements began in 1769 with military men and missionaries, sent by the Spanish crown, arriving in the San Diego region. Numerous small native Indian tribes had lived in the region and the Spanish wanted to convert the Indians. Various mission settlements were setup moving north to the fertile valleys and as far north as San Francisco. By the early 1800s the California region had been acquired by Mexico from Spain. The first gold find was just north of Los Angeles by a Mexican rancher in 1842 and then the large discovery of gold in 1849 at Suttor’s Mill. This brought people from across the country and around the world to the California lands, all looking for gold or providing services to the miners. For California genealogy it is interesting to see other people who had come before the gold rush included the Aleut Indians from Alaska and Russians who hunted sea otters near San Francisco in the early 1800s. In the 1840s a large group of those of the Mormon religion from the state of New York settled north of San Francisco and helped establish the lumbering trade. The California region was acquired by the United States after the Mexican War of 1848 and with the massive gold rush became a state on September 9, 1850 with a population of about 92,600. Some recent immigrates to the new state were from Italy and helped develop the agricultural fields. A massive new wave of settlers came when the transcontinental railroad was completed in 1869. The building of the railroad and its route was aided by the large imported cheap labor of Chinese from mainland China, along with other Asians from Japan and India is a major element of information for California genealogy. Additional Mormon families came to California to join those already present. Between the gold rush, fertile agricultural lands, lumbering, mining, fishing and other occupations, the state of California attracted all types of people from different cultural backgrounds. 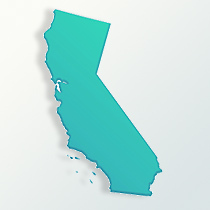 Approximately 300,000 people per year settled in California between 1850 and 1900. With the great earthquake and fire in San Francisco in April 1906, many buildings, homes and precious documents were destroyed. Yet, more people, especially from the mid-west states (Iowa, Idaho, Illinois and Wisconsin) looked at this as a chance to start fresh and help rebuild. People from the states of Georgia, Alabama, Oklahoma and Texas sought the new life in California during the early 1920s. A large group of those in the entertainment field from New York also moved to California where a new form of entertainment was going strong, movies. During the Great Depression and dust storms of the Great Plains of the 1930s, even larger numbers of people moved to California. Since the end of World War Two, the population of the state has soared, again with an influx of new residents from across the country. Also increased was the Mexican population as many citizens from Mexico left their native home for California, especially working the agricultural fields.